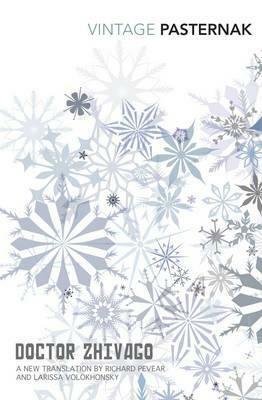 This year I would like to read “The Master and Margarita” and re-read “Anna Karenina”. I read russian authors when I was younger but I don’t remember them, I think I was too young. Well they are certainly chunkster with a lot of psychological weight to go along with them. I hope I’m going to enjoy Crime & Punishment. Hmm. I think Anna Karenina or Doctor Zhivago might be the most accessible places to start. 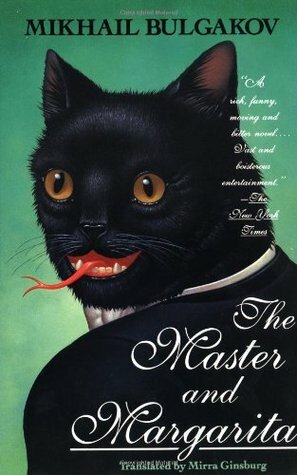 A few years back, my then reading group chose The Master and Margarita. I was not alone in failing to finish it. Actually, I think the translation I had access to might have been half the problem. It makes such a difference. I’m not ready to join you in the challenge, but I will commit to reading at least one Russian novel during the first half of the year. There. It’s in writing. It will happen. Well that’s great! You can also go over to Behold the Stars and check on how she and everybody else is doing. I read Crime and Punishment in high school and remembered liking it. I started Anna Karenina in my 20s and got maybe 20% of the way through…It was good; I only stopped because I just wasn’t very disciplined. But my plan is to tackle it this year. Have you considered Dr. Zhivago? It’s a bit more recent. I am quite interested in it. I also have Chekhov’s short stories. Short stories could be a less intimidating way to start, though I am not sure if that will count for the book challenge. Actually I have read some Chekhov and yes Dr. Zhivago is one of my six. I’m being modest by trying to read 1-3 of the novels listed but I think I can make it. I think that’s the one that intimidates me the most. Excellent, I’m committing to level one as well and since I am doing the Eugene Onegin read-along, I’m already started! I do recommend Pushkin, it’s an easy read and very entertaining, Oh my, now I would just love to hear you do a booktuber on Eugene Onegin,honestly, he needs talking about, the cad! And that Tatyana, reading too many romance novels and then there’s the narrator who keeps drifting off into French 🙂 Go on, add it, it’s shorter than the rest too! I am definitely going to read Crime and Punishment and I’ve already read Anna Karenina, which was great. Well, I wonder if Irène Némirovsky counts, even though she wrote her books in French? Excellent plan! Good luck with this and I hope you enjoy the Russian literature you read. I’ve never read any Russian Literature and really want to try some out. I’m planning on trying to read ‘Crime and Punishment’ this year. And Anna Karenina has intrigued me for the longest time. I’ve just always put off Russian literature because it seems so daunting. Hopefully I’ll get some under my belt this year though! You and me both.! Good luck and look forward to hearing what you have to say about Crime & Punishment and Anna Karenina. I really enjoyed Anna Karenina, it’s long but it’s surprisingly easy so you don’t feel it’s length. It’s now one of my favourite books and I’m looking forward to rereading it many times. Good luck for your challenge, looking forward to your thoughts on whatever you decide to read! Thanks Sam! Your the second person that’s told me AK was an easy read but long. Hope you’re right because I’m tempted to read that one and have been for a while. The only book I read was “enfance” from Gorki. I don’t remember it. My favorite russian author wrote in English because he migrated to the US and became very popular, his books are considered classics by Science-Fiction readers : Asimov. Have heard of Gorki but didn’t realise he wrote directly in English. What a great challenge! You obviously HAVE to read Anna Karenina. Don’t get discouraged by the section on Russian agriculture either – it will be over and then the story continues and the ending! The ending will have you feel so many things. I want to read Doctor Zhivago and War and Peace has been on my list for years. I tried reading it 2 years ago, got through 968 pages and discovered that my copy was missing about 60 pages. I’m so far removed from that experience now that I’m pretty sure I have to read the whole thing from the beginning – a depressing though that’s for sure hindering me. Good luck with your challenge. Excited to read what you think! Well that sounds encouraging again for Anna Karenina. Sorry to hear about War and Peace. What a bummer! I’m always looking for excellent good translations before I get started. I’m leaning more and more toward reading Dr. Zhivago. 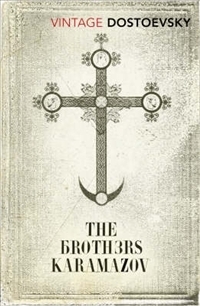 I have read The Brothers K and Anna Karinena. I thoroughly enjoyed the Brothers. Look to the chapter “The Grand Inquisitor”. It’s brilliant. Although it’s not considered ‘classic’ look to the book “One Day In The Life Of Ivan Denisovich”. I read this in high school and was impressed back then. Rereading it as an adult, it is simply phenomenal. Happy Reading! Thanks for the recommendation! Will have to check that one out. I tried Dostoevsky’s ‘The idiot’ about two year back, didn’t get very far unfortunately. I do plan on trying again at some point. As well as other Russian authors. I’m looking forward to finding out what you enjoyed. 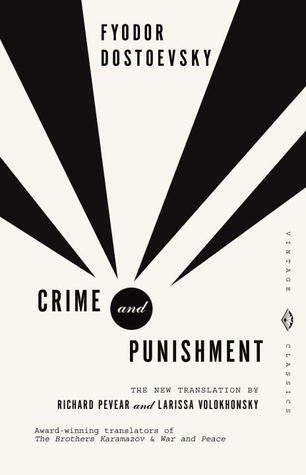 Well stay tuned because March I’m going to be picking up Crime & Punishment. To add to my Twitter comment (as I love Russian lit so much! )… I hope you will enjoy all of the novels you’ve chosen. I took a college class in Russian lit and read quite a stack of books in one semester. At first, I was intimidated by the reading list but I ended up racing through the books — not for lack of time but because I was enjoying them so much! Among my favorites were The Master and Margarita, One Day in the Life of Ivan Denisovich and Petersburg. On my own, I read Anna Karenina and loved that one too. I found that the novels weren’t terribly difficult, intimidating works, but actually interesting and in some cases a lot of fun to read! Enjoy!! Well that’s encouraging Adira because I’m used to hearing how long and exhausting they can be. You’re the third person that’s said this so I’m going to be positive and enjoy the new experience. Good luck with such a challenge, Didi! They are surely greats, and I’d be interesed to see if they all include twenty key characters in the first three pages (Cf Dr Zhivago by Boris Pasternak (Boris Cabbage, in English)). Wonderful, though the film version does seem to make things clearer and the accompanying music demands being armed with a packet of Kleenex for the tears. 🙂 . Have you read The Brothers Karamazov? It’s a chunkster but not nearly half so tough as War and Peace. No I haven’t that’s why I put it as one of my possibilities. However I’ve heard that it’s quite a difficult read and that War and Peace is easier. It’s just long. I’m incapable of judging at the moment. March I’ll start Crime & Punishment and hope that will be enjoyable.